As a tongue-in-cheek response to Donald Trump's mission to <a href="https://inhabitat.com/trump-breaks-campaign-pledge-by-asking-congress-for-money-to-build-mexico-border-wall/">build a wall</a> along the US and Mexico border, Rotterdam-based <a href="http://www.atelierari.nl/">Atelier ARI</a> has created an art installation called <em>Open Border.</em> Created for the annual <a href="http://www.warminghuts.com/">Winnipeg Warming Huts </a>event, the bright orange 9-foot-tall, 120-foot-long "wall" is made of vertical plastic strips that easily let people pass through to the other side. 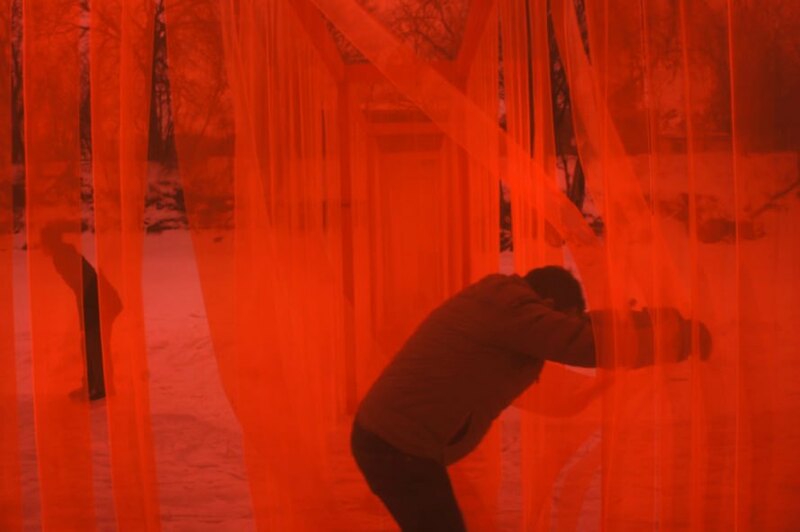 The open-air architecture gallery is known for having a number of fun, avant-garde art works, but this year, Atelier ARI's installation is speaking volumes about Trump's hard-line immigration policies. 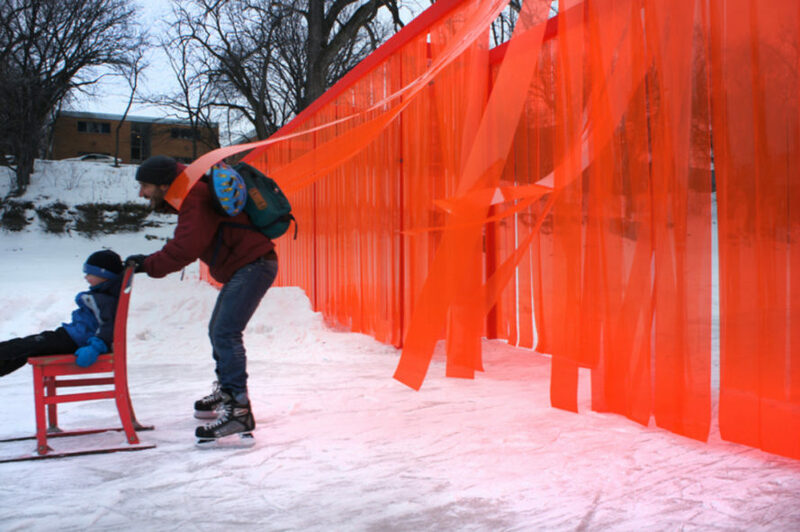 Visually, Open Border's bright orange strips are in stunning contrast to the snowy landscape. 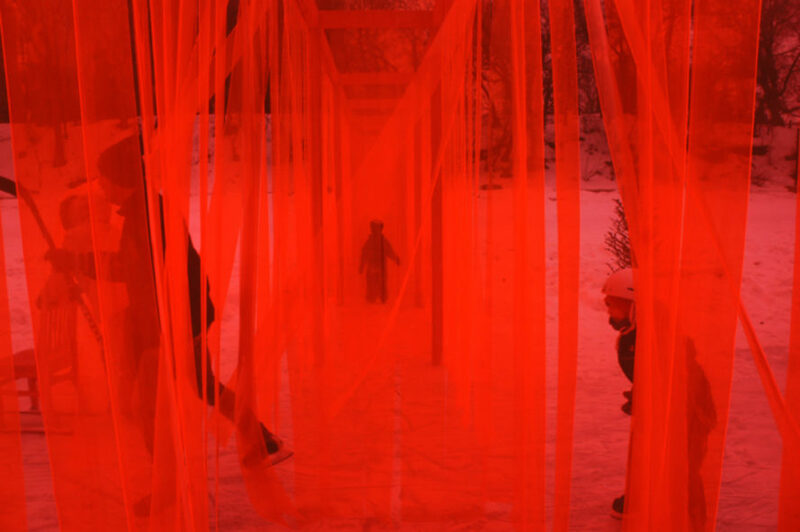 Curious visitors can easily walk through from one side to the other. 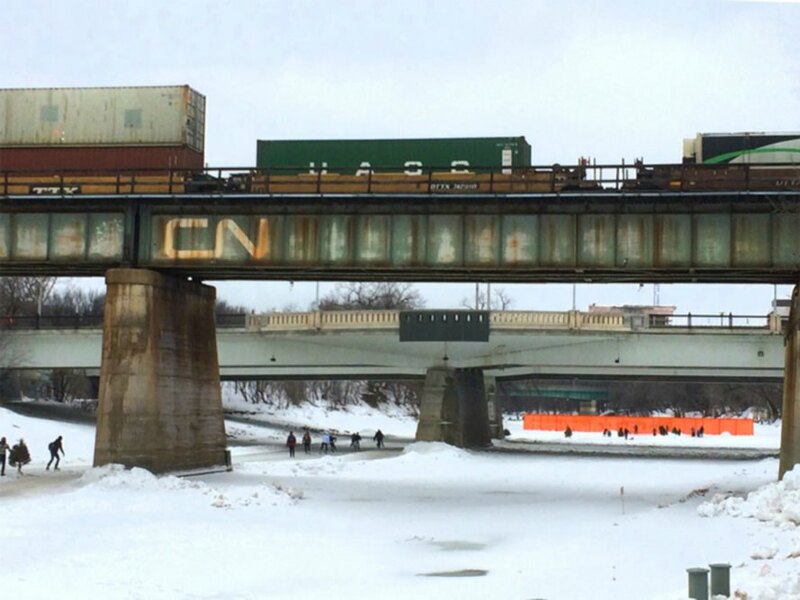 Although fun in nature, the protest art installation makes reference to a seriousness of the worrisome xenophobic international policy demonstrated by not only the USA's current administration, but worldwide. 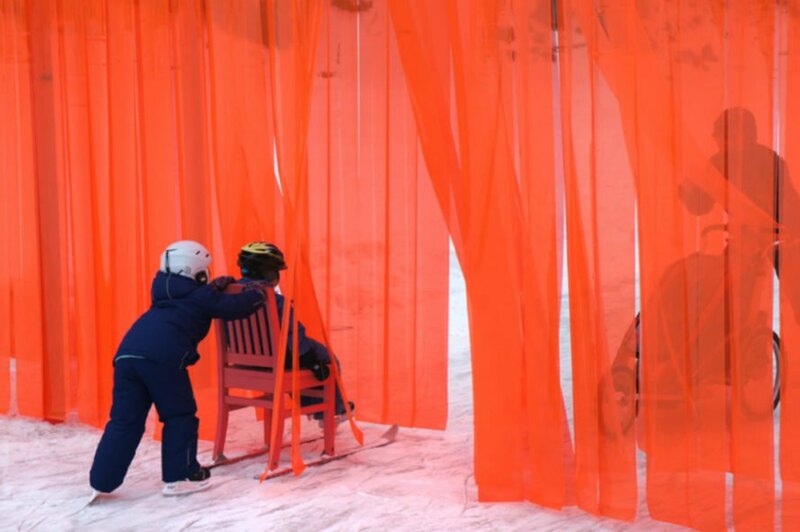 The design was strategically crafted to make people contemplate the issue as they pass through the orange curtains. 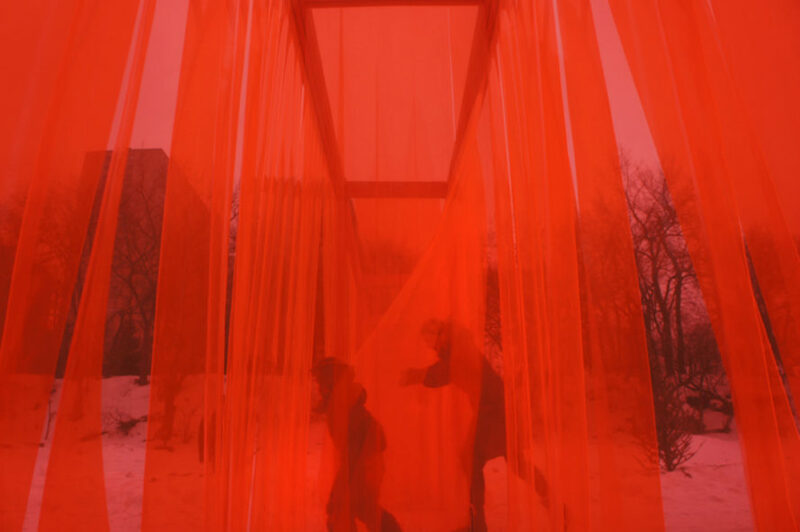 The semi-opaqueness of the PVC strips cause people to be indistinguishable as they pass through, a metaphorical statement on the equality of the entire human race. 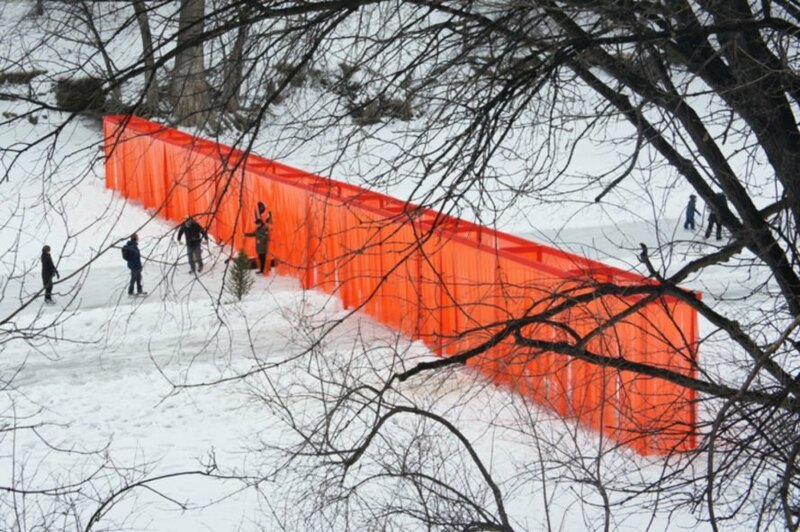 Visitors to the Open Border wall can easily pass through. The semi-opaque strips cause everyone to be the same. 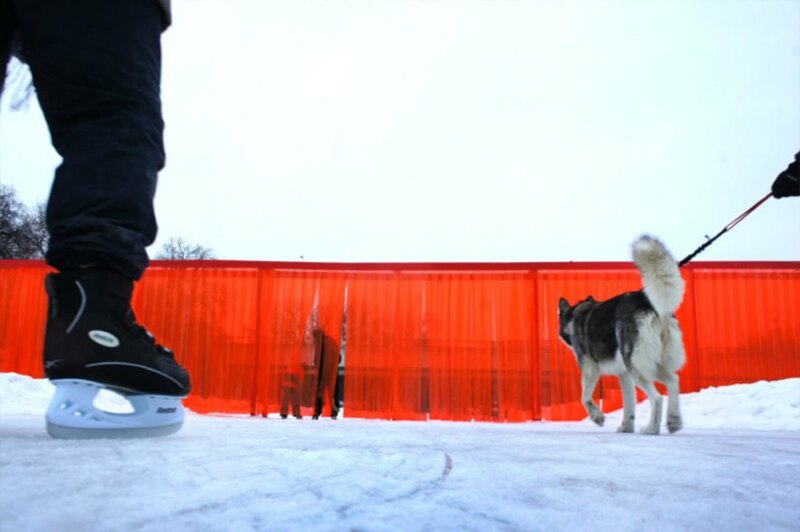 As a tongue-in-cheek response to Donald Trump's mission to build a wall along the US and Mexico border, Rotterdam-based Atelier ARI has created an art installation called Open Border. 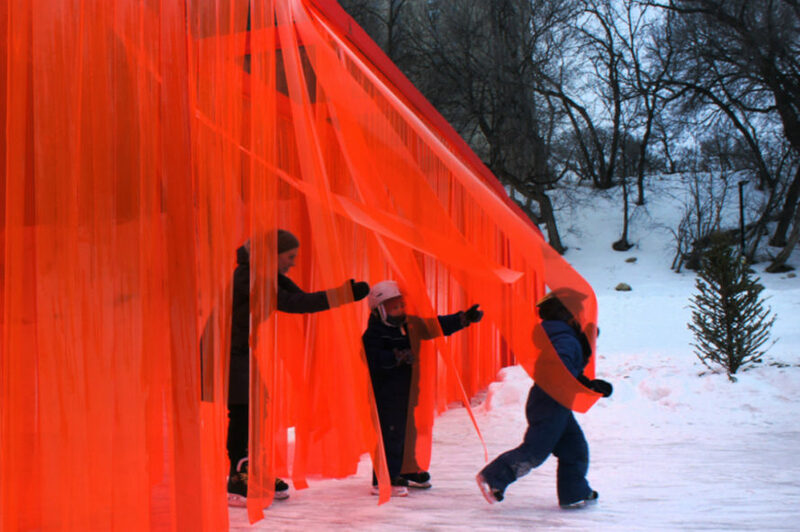 Created for the annual Winnipeg Warming Huts event, the bright orange 9-foot-tall, 120-foot-long "wall" is made of vertical plastic strips that easily let people pass through to the other side.